Phoenix is the capital and most populous city of Arizona. It has the hottest climate of any major city in America, so it is a good place for northerners to escape with their dogs during the wintertime! This city has many community-mind and organized dog parks, that almost all have separate entrances for dogs, depending on their sizes. 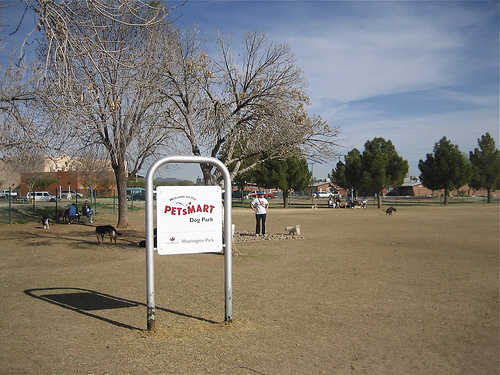 Dog parks in Phoenix are generally open from about 6:30 AM-10:00 PM daily. Even though parks are generally fenced-in, watch out for cacti and dangerous wildlife! This is a great, popular park that has separate entrances for big and small dogs. It has 2.65 acres that is contained within tall fencing. There is also access to a water fountain, and two water stations for your dog. It is accessible for people with disabilities, and there are benches for humans to rest. There are also dog waste bags and garbage cans. This is a newer dog park that opened in 2003. It has two acres of grass, and is divided in the middle for big and small dogs. There is a fully fenced perimeter with double-gates, and a water fountain. There is access for people with disabilities. This park has 2.3 acres of grassed area, and is divided into big and small dog spaces. There are dog waste bags and garbage cans, as well as a water fountain. This complex’s park area is made of turf, so when it rains, it may be shut down so it can dry (in Arizona, when it rains, it POURS!). It has 2.5 acres, and is divided into big and small dog sections. There are water fountains, dog waste bags, garbage cans, trees and benches. It is accessible to people with disabilities. This dog park opened in 2006, so is very new. It has 1.83 acres, which consists of a granite surface and some hills and shrubbery. There are two double-gated entrances, where people with disabilities can enter with ease. The big dog and small dog areas are separated, and there are waste bags and garbage cans. Members in this community are combining funds and efforts to help improve this park, and introduce elements like benches and water fountains. This park has 1.5 acres of grass, and is separated into big and small dog areas. It is fenced, and includes water fountains, shaded areas, tables and trees. 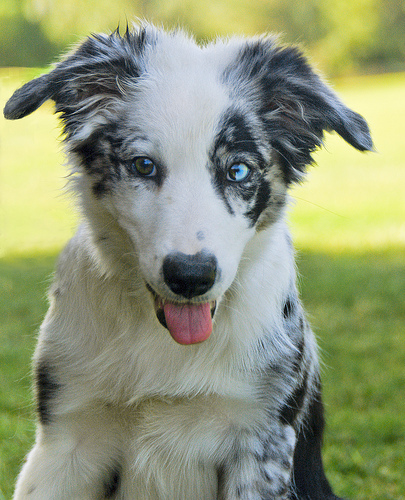 Click here for a map of dog parks in the greater Phoenix area.